I won’t go into the old news that is Time’s controversial “mom enough” mid-May issue. We all know they sold enough copies on that matter. Instead, I wanted to share some views on attachment parenting and breastfeeding expressed by fellow Filipino moms. To begin, let me say that I am a babywearing, formerly nursing mom (my son recently weaned after being breastfed for two years and six months). In fact, here’s a photo of me a year and a half ago, when my son was just five months old. 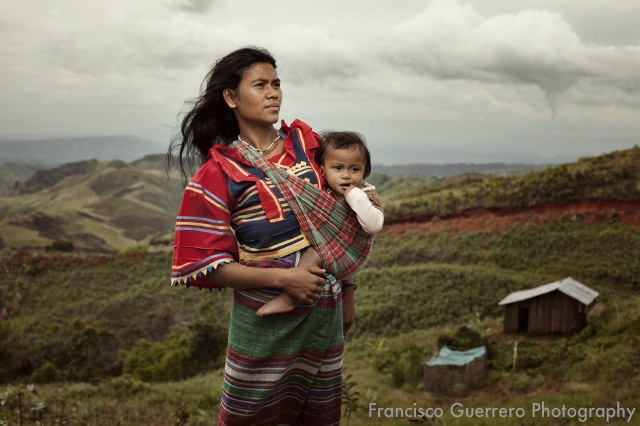 Here in the Philippines, we are not new to the concept of babywearing and breastfeeding. “Our Pinoy [colloquialism for “Filipino] ancestors have been doing these things since the beginning of time. We call it the Filipino way of living or raising of children. They on the other hand modernized it and called it attachment parenting. Look at the indigenous folks of the mountain provinces. Photo courtesy of Francisco Guerrero Photography, from The Painters’ Wife blog. The [attachment parenting] style is instinctive. Not to trivialize how hard parenting is, but sometimes listening to your gut is the best, right? Follow your intuition, I say. But even with the emphasis on [attachment parenting] in discussions as a result of the Time cover, it also got people talking on other parenting styles and the only conclusion to all that talk is that there is no one type that works for parents and children. Heck for different kids in the same family, different styles could work. I don’t have much to add to what these ladies have said. I just wanted to say that, as moms, we’re not competing for a medal or honor or accolade. We’re all part of one, big, global community, and we look out for our families based on what works for our families. The choices that make up my definition of parenting are what work for me — and that’s fine. I’m not a 100 percent attachment parenting practitioner, and I don’t intend to be, but this doesn’t make me any less of a successful mom. Ultimately, I am beholden to my child for one thing only, and that is to love him wholly, unconditionally. Whether people agree with my version of parenting or not, is fine. Just don’t ask me if I am “mom enough”… because I will tell you I am not just enough, I’m the only mom who can love my kid the way I can. 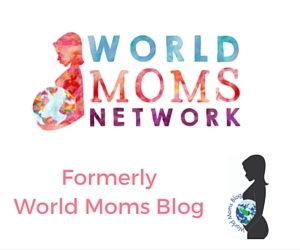 This is an original World Moms Blog post by Martine de Luna in Manila, Philippines. Martine blogs over at Dainty Mom, and can be found daily on Twitter @Dainty_Mom, and on Facebook. Martine is a work-at-home Mom and passionate blogger. 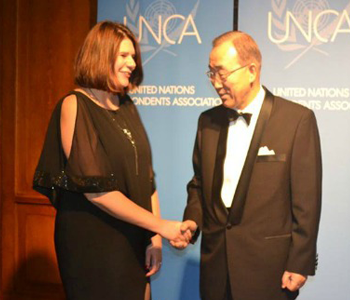 A former expat kid, she has a soft spot for international efforts, like WMB. While she's not blogging, she's busy making words awesome for her clients, who avail of her marketing writing, website writing, and blog consulting services. 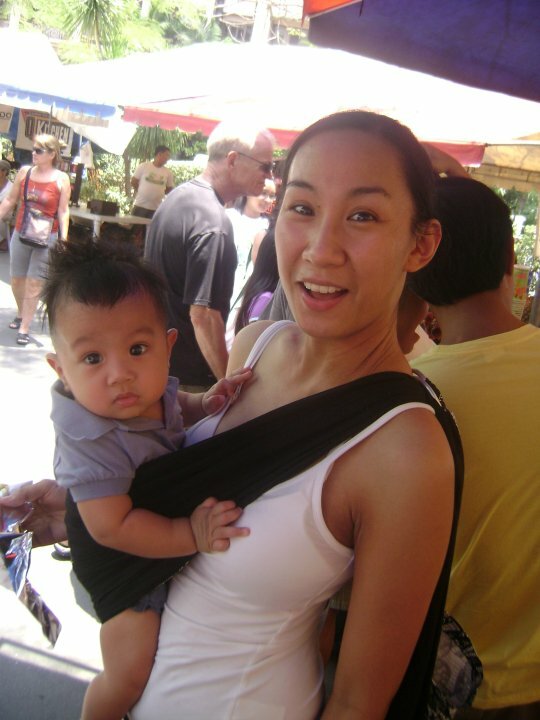 Martine now resides in busy, sunny Manila, the Philippines, with her husband, Ton, and toddler son, Vito Sebastian. You can find her blogging at DaintyMom.com. I agree that no one type of parenting that works for parents and children. As a first time mom, I used to worry so much about the “right way” to raise my daughter. I realized that to raise a child, we will never go wrong with true and unconditional love within the family and trust in God. Everything else will follow. Hi, Belle. Yes, that’s right. There is no “correct” or “right” way. We all intuitively know what’s best for our families. Martine, this is a really sweet post and sadly so untrue. Our brains and bodies scream out to be parented in the way biology intended: it is hard for many of us to do so, but that doesn’t make it OK not to. The reason we have survived so long is because your ancestors parented in the same way mine did. Perhaps instead of telling one another it’s all OK – no matter what choices we make, we should be looking at real outcomes: some time soon every day parents are going to realise that the problems they are having with their health or their children’s behaviour is because we are so off the mark. One of the reasons I wrote the post about the vegan child was to raise this issue: when do we finally help each other to parent according to biology rather than just patting each other on the back and saying there there honey, it’s not your fault… Guilt is horrible – but I would rather feel guilty and use that guit to find real solutions and make real changes than just give myself permission to carry on when things are obviously not working. People are ill. People are violent. People are deeply deeply sad, and they don’t have to be. That, to me, is the greatest tragedy of all. Hi, Karyn! “Parenting the way biology intended” is definitely something our modern society has forgotten to practice. Many of us are trying hard to spread the news about the many benefits of natural parenting, and we do our best not to come off as sounding “better” than those who have not managed to breastfeed or be attached as parents. You are right, though: We do need to find ways and means to help each other parent naturally, and to shatter the erroneous facts, ideologies and consumerist claims that have been ingrained so deeply in many of today’s parents. I do believe, though, that we need to do so with understanding and compassion, so that parents who are not informed about attachment parenting will feel that they can trust us and not be judged. That’s why it’s great that, in the Philippines for instance, there are organizations that are hard at work to bring breastfeeding to the fore, as well as provide in-hospital education and free training for those who are intent on breastfeeding. We even have a new organization that just began this year, the Filipino Association of Babywearers, which aims to unite baby-wearing parents. Japan is the same, I thnk. Co-sleping is definitely the norm, as is baby wearing (except Japanese moms seem to prefer to wear their babies on their backs once the babies have good head control.) I don’t have any figures to back it up, but from my personal experience I would say breastfeeding is common, and that extended breastfeeding is not unusual. The Time cover controversy finally made it onto the news here today. I looked at the first couple of pages of comments, and Every Single One was basically expressing surprise that anyone would think either co-sleeping or extended breastfeeding was unusual. There were many comments that people in the west seem to mistakenly think breastfeeding is only about nutrition and don’t understand the emotional value it has for the child, as well as a few questioning parents priorities. Hi, Hamakkomommy! I eventually wore my son on my back, when he got big enough. For the first few months, up to when he was a year, I wore him on the front; I liked that I could hug him while walking! Yes, I think the Time cover shook up a lot of people, all over. Some of the people I know hated the portrayal (disgusted by it), while others found it beautiful. I am with the latter, since I can relate with the portrayal, having breastfed my own child for over 2 years. Still, I did not appreciate how Time took the matter and plunked it between psuedo-feminist lines. It pitted moms against each other, which isn’t right. It’s a pity, because attachment parenting is a wonderful thing. But in the same way media attacked homeschooling in the past, attachment is often misconstrued as some form of nouveau parenting. It’s unfortunate, but hopefully this issue will compel parents to do their own research into the benefits of attachment and breastfeeding. Amen, Martine! I didn’t use slings or co-sleep, but I did nurse both my babies exclusively for about 1-1/2 years each (would have happily gone longer; both self-weaned, one at 16 mos. and one at 19 mos. ), and I have never understood the backlash against “attachment parenting.” It seems very natural to me. And in the end, all us moms need to do what works for us and our families, often taking bits and pieces of different parenting “styles” to cobble together a parenting personality that helps our babies and ourselves thrive. It’s not rocket science! But neither is it strange or controversial. Great piece, Martine! Hi, Shannon! I can relate with the self-weaning, as it was like that with my son, too. You’re right: there should be no controversy behind it. I guess it made for good news fodder, though, which is why Time played it up so well! Parenting is unique, period. There may be books and studies on the how and why of parenting, but in the end, we take what works for us and go with what is best for our kids. I love this. And I agree with you… I always say parenting is not a one size fits all type deal. Each child is individual and what works for one may not work for another. In thinking about it, I’m probably the farthest from an “attachment” parent… and yet, my kids seem to be just fine and I often have people tell me how well behaved and polite they are. So, in one way or another I must be doing something right. And as you said, the most important of all is LOVE. And I love my children unconditionally!!!! Amen to this. I think it’s sad that women in NA have taken “being a mom” and turned it into a competition. Doing what is natural to us is NOT a fad. Martine, I love the pic of you and baby at 5 mos. I think we can learn from other cultures and compare notes. I don’t think there’s a perfect recipe because there are so many variables — each child is so different, the physical, emotional and monetary needs of each family are so different, the temperaments of parents and children can differ and our cultures effect how we mother both consciously and subconsciously. I was given formula on the day I was born and never had breastmilk. I was left to “cry it out”, never worn in a sling as a baby. My mother went back to work full-time when I was 8 years old. I made it to adulthood and am happy. As a mother I changed some things that were different from my baby experience (ex. I did extended breastfeeding past 6 mos. for both daughters). The constant has been unconditional love and a lot of hugs and kisses. I think my mom did what she felt was right in her time and was hoping to do the best she could for her children on her journey, and I’m trying to do the same. I think the point that we care as moms and open heartedly tweak our recipe when necessary by sharing ideas from different studies, people and cultures is invaluable. This is definitely something my mother never had, and it is enhancing my motherhood journey, and in return, my daughters’ lives. I enjoyed hearing your motherhood account from the Phillipines! Hello Martine! Great post- and I fully agree with you. I especially loved the last line! I don’t consider myself an attachment parent or use any other terms to describe my ‘style’ of parenting. I breastfed both my sons- one for 14 months and the other for 12. Neither slept in our bed, but I did carry them in a sling and carrier quite a bit. I tried to do whatever worked for me and my children and kept us all happy. Everything we do should be born out of love, certainly not guilt or societal pressures. Hi, Elizabeth! Yes, we have to go with what works for us, or we’ll go insane trying to keep up with all the information that’s being broadcast all over the parent community. There’s so much information these days that it’s confusing. The responsibility remains with us, as parents, to process all these varying opinions and form one of our own, for our families. Thanks for sharing your parenting experience, too! Beautifully written. I co-slept with my daughter and was made to feel as though it was unnecessary by family. We believes it was beneficial and still stand behind our decision. This rings so true for me. While I was born here in the States, my parents are from Laos. I always ask how my grandmother did this or that, how long she breastfeed all four kids, and how she would react to today’s parenting. All I can say is that I like to make my grandmother proud and have a thriving culture for my son but most of all follow MY instincts. It just so happens, it’s what my grandmothers did in Laos. That’s wonderful! And yes, follow your instincts. These days, it can be hard to filter out all the different parenting views and philosophies that are thrown around, but the important thing to consider is: What do I REALLY believe is right for MY family? Once we’re settled in our beliefs, nurturing doesn’t just become instinctual, it’s backed up with purpose. This is the discourse that I see most often among my friends and on the blogs I read – that we all have our parenting preferences, but support our sisters in their choices even when they differ from our own. I really don’t know where this whole “mommy war” battle is occurring, and I suspect it is at least partly a media invention. Great post! That it is, mamazungu! Ploy by Time to sell well on Mothers’ Day! — Yes!! We’re doing OK, even great! I am SO HAPPY that most WMB moms agree that (as each person is an individual) individual “strategies” need to be employed. For example, my son HATED to be held and cuddled as a toddler. After about 3 seconds he’d wriggle and cry to be put down on the floor. My daughter, on the other hand, LOVES cuddles, she slept in our bed, was “worn” by me for several months etc. I was unsuccessful at breastfeeding (not for lack of trying!). I’m super proud to be able to say that both my children are now teens that anyone would be happy to claim as their own! Both of them have a strong bond with my husband and I as well as each other. Their early years were as opposite as night and day … and their characters are still opposite to each other … but they are both well-adjusted and successful in their own ways. I agree 100% to every word. Parenting is individualized. Even for siblings, parenting techniques differ for each.